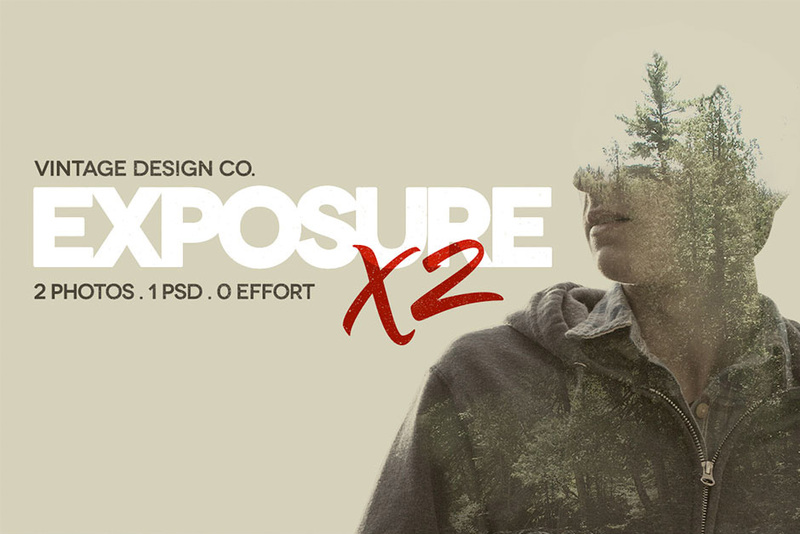 Get seriously cool double exposure effects with ExposureX2. Doing a quick Google image search on double exposure brings up some amazing creations but to achieve effects like this requires quite a long process. So that’s why I’ve made a smart .PSD which lets you do just that in just a few clicks. Even more, I’ve teamed up with Photographer Justin Fennert, to include 7 pre-cutout portraits and over 30 photos that can make your own creations with. This Photoshop document requires just a basic knowledge of layer masks using the eraser tool and that’s it! Software requirements: Adobe Photoshop CS3 and newer. Will not work in Photoshop Elements or Adobe Illustrator. File size is approx 685.9MB (903MB unzipped), offered as a single download. Software compatibility: Adobe Photoshop CS3 and newer. Will not work in Photoshop Elements or Adobe Illustrator. I was also wondering if this would work with Affinity Photo. Thank you so much for reaching out to us and I’m so sorry for any confusion caused by the compatibility of our ExposureX2 – Advanced Photo Effects pack. We always list the software compatibility and files types included in all of our products so I’m so sorry if you missed this on our deal page. Unfortunately as the designer has provided these as smart psd files, they will only work in Photoshop CS3 and newer, so our sincerest apologies for any disappointment caused! My Paint Shop Pro can utilize PSD. Do you know if this package is compatible with any program that has PSD functionality? I hope this helps, Maureen, and please don’t hesitate to contact me should you have any other questions. I’m here to help! Good evening to all the team, I wonder if I can use with Affinity Photo?!! Thanks for getting in touch! I’ve sent you a quick email to assist you with your query 🙂 I hope it helps, and please don’t hesitate to contact me should you have any other questions. I am always happy to help! This is great, and building your own bundles! What an awesome feature! Can’t wait until you start adding more products! Thank you so much for your awesome feedback- we are so pleased that you are enjoying the marketplace! We will be rolling out more products in the next few weeks and every month following from that but if there are any items from our past bundles that you would like us to feature for you, please do let me know!